The African Paradise Flycatcher is a breeding resident in the Tihamah, Southern Red Sea and wadi bottoms of the Asir as well as the high mountains of the Asir. 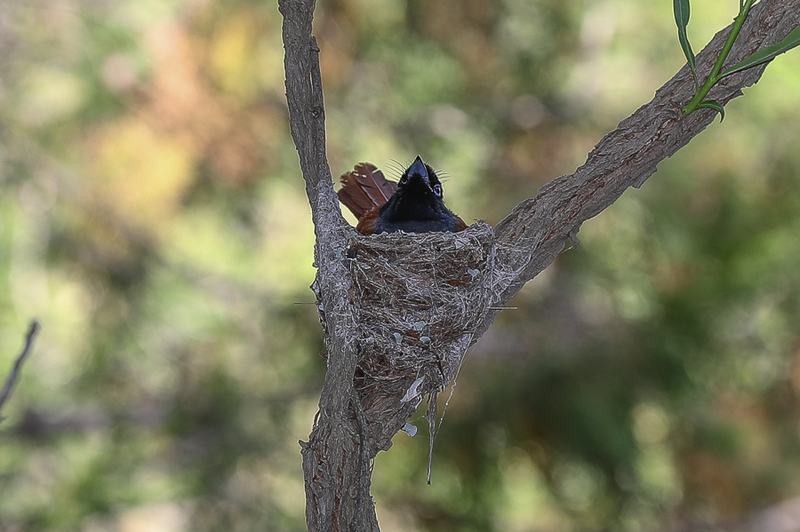 Most records come from the well watched Abha and Tanoumah areas where birds build a small nest in the fork of a tree and normally lay three eggs. The female does most of the incubating but the male is always in attendance and does some of the work. Birds are not easy to see in Saudi Arabia and finding nests is even more difficult. 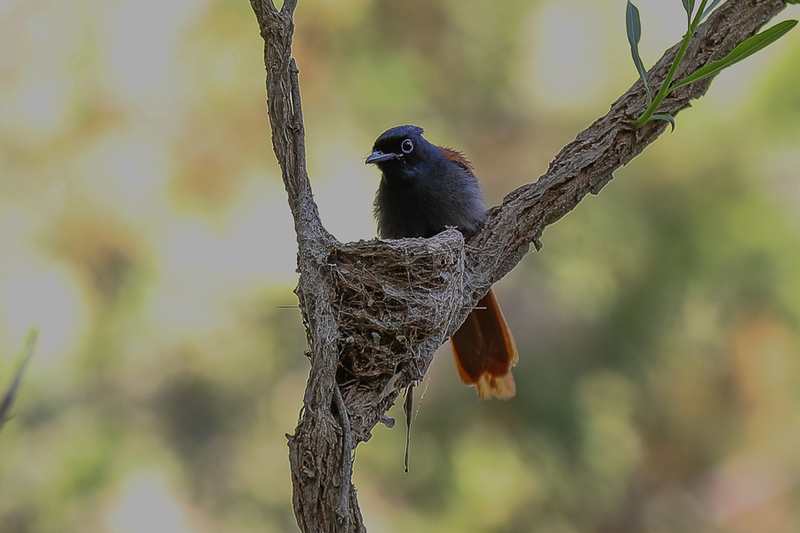 Some of the local photographers have become very good at finding birds nests in recent years including a number of African Paradise Flycatcher nests. On a recent trip to Tanoumah I was shown a nest by some photographers and took a couple of photos of the bird, shown below, before moving off to leave it in peace.